In our shop you can choose from the full range of specialities produced in our cold cut factory, along with a wide selection of superior food and wine products typical of the Chianti region. Let your senses carry you away to a world where importance is placed on quality and the customer’s needs, while reserving special consideration for the environment. Our helpful, well-trained staff will be happy to guide you along a unique ‘journey of taste’, which is guaranteed to satisfy your curiosity and cater to your preferences. Falorni cold cuts are available in different sizes, either whole or pre-sliced in practical vacuum or modified atmosphere packaging. The larger sizes are ideal for parties with many guests, while the smaller packs are perfect for tasty snacks and intimate dinners. ‘Dressed’ with care, our products are a feast for the eyes even before you taste them. 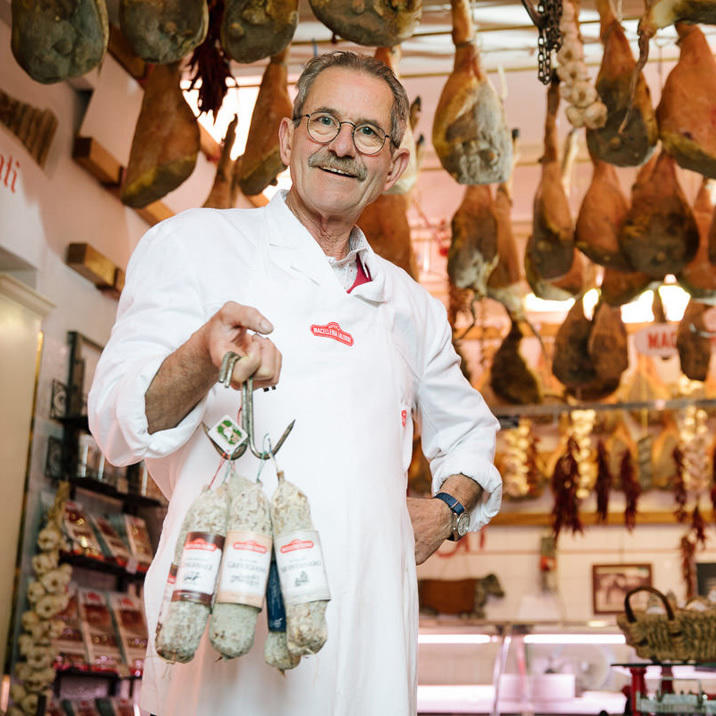 Alongside our classic products you can also find delicacies and true rarities such as Cinta Senese salami and salami with wild boar, truffle or prosciutto aged under ash. A journey through the flavours and traditions of our region would not be complete without a good bottle of wine. 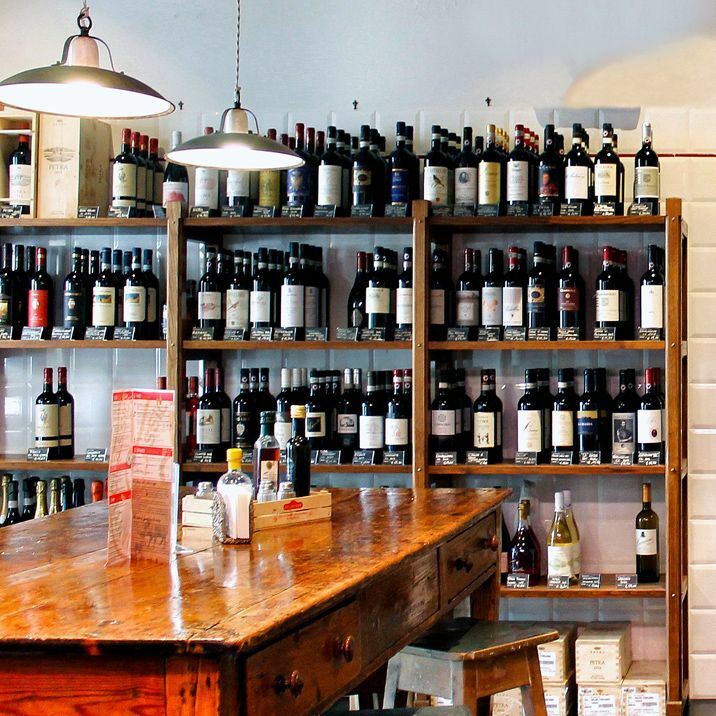 In our space dedicated to Bacchus you will find a wide selection of red, white and sweet Tuscan wines. Our experienced staff is at hand to help you find the best wine to accompany the Falorni products you have chosen, so you can enjoy again in your own home the pleasure of a true Chianti wine-tasting experience. 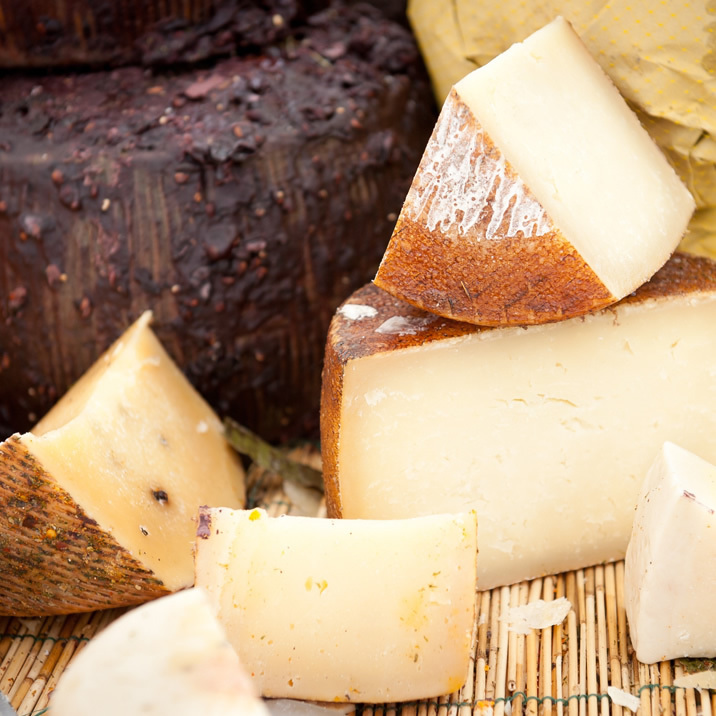 In the atmospheric setting of a 15th Century cave you can choose from a wide selection of Tuscan Pecorino cheeses, from the traditional classics, both fresh or mature, to delectable ‘reinterpretations’ by renowned cheese makers. Made from ancient recipes, our pecorino cheeses are the perfect accompaniment for our cold cuts. 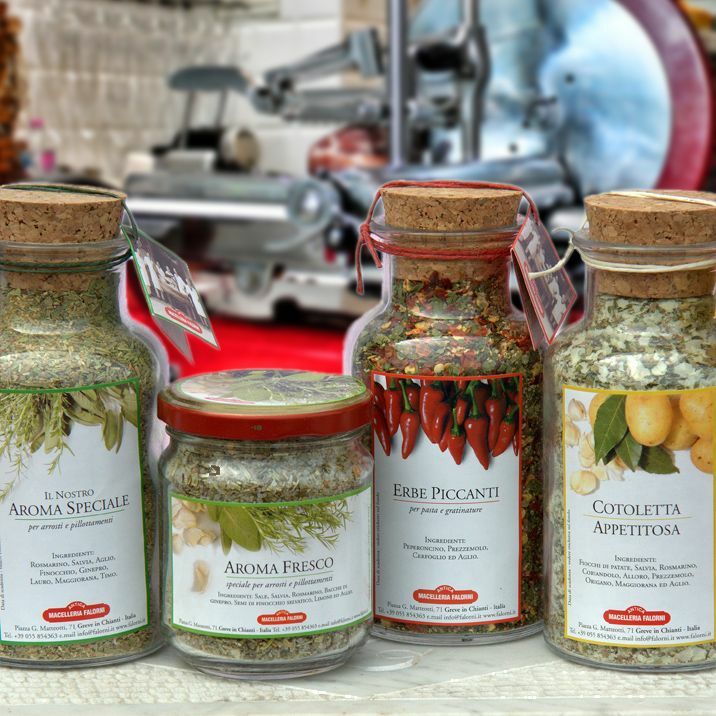 delicious sauces, to extra virgin olive oil, and from products pickled in oil to sauces – all guaranteed to make your appetizers delicious. And to end on a sweet note, try our cantuccio biscuits and other delicacies of the Tuscan tradition.